On January 27, Turkmenistan celebrates Day of Fatherland Defenders. It is not a public holiday, but an official professional observance that honors servicemen of the Ministry of Defense and the Armed Forces of Turkmenistan. Day of Fatherland Defenders is the anniversary of the establishment of Turkmenistan's armed forces. On the occasion, the country's military are congratulated by the President of Turkmenistan who is also the Supreme Commander-in-Chief of the Armed Forces of Turkmenistan. Solemn ceremonies are held in all military units and formations across the country. 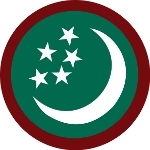 The Armed Forces of Turkmenistan were founded in 1992, after the fall of the Soviet Union. In 1995, the United Nations formally recognized the country’s declaration of permanent neutrality which means that Turkmenistan would not participate in multi-national defense organizations. The country's Armed Forces consist of several service branches: National Guard, Ground Forces, Air Force and Air Defense Forces, Navy, Internal Troops, Border Troops. The Ministry of Emergency Situations is also considered part of the military. The number of military personnel on active duty is about 22 thousand servicemen.